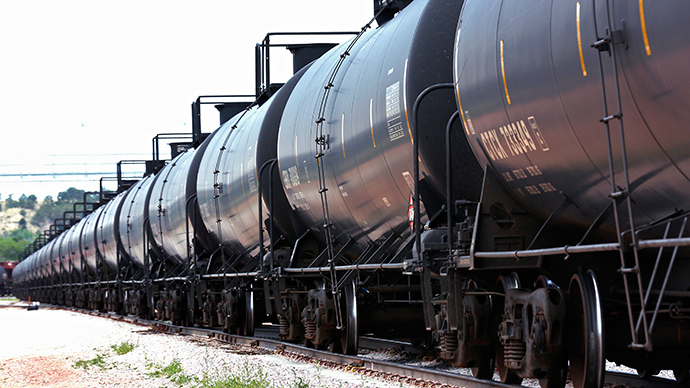 Eight train cars filled with crude oil veered off the tracks in the south of Galena, Illinois. 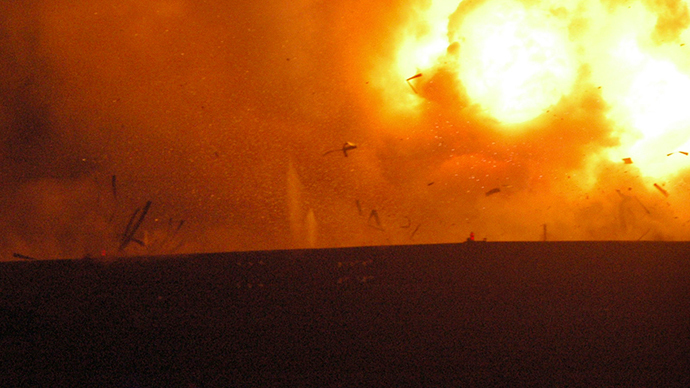 At least two of them caught fire after the 105-car-long BNSF Railway train derailed. The train derailed around 1:20 pm (19:20 GMT) in a rural area where the Galena River meets the Mississippi, according to railroad officials. Galena city fire crews responded to the reports as soon as the emergency calls went through. 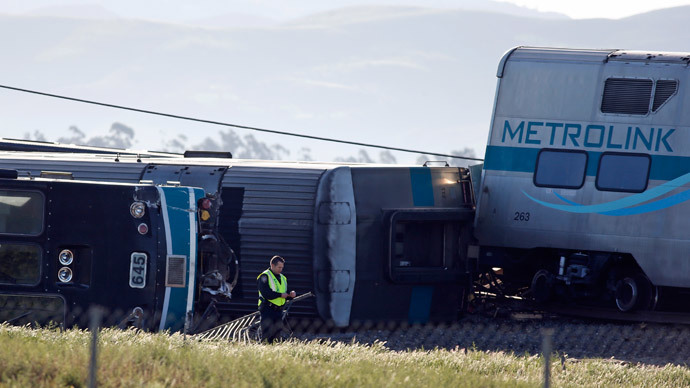 “I did confirm that the train crew was safely removed from the scene without injury,” he said. Reuters meanwhile reports that two cars have ignited. 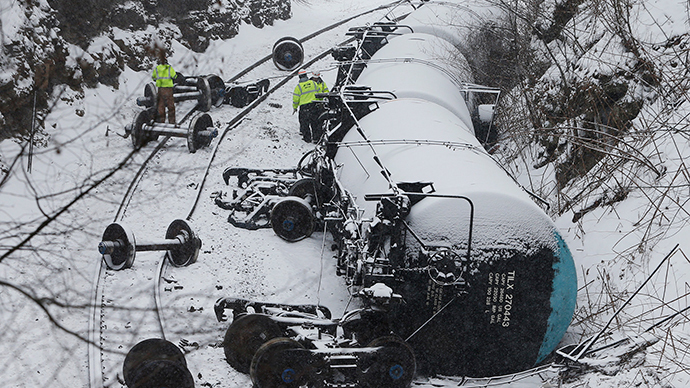 The train had 105 loaded cars – 103 of which were carrying crude oil. BNSF has released two statements regarding the derailment, but has not confirmed reports of burning crude oil at the crash site. Dubuque Fire Chief Rick Steines told local media he has deployed firefighters with foam fire suppression equipment to a derailment staging area. “We sent two people with our foam trailer because of a request we got form Jo Daviess County,” he said. It’s still unclear what caused the derailment, according to a BNSF statement. The railroad is working with local responders and has notified the National Transportation Safety Board and Federal Railroad Administration. Firefighters attempted to extinguish an initial small fire soon after the incident, but were unable to stop the flames, pulling back for safety reasons at around 3:20 pm, local time. “We couldn't access the seat of the fire, and it grew,” Assistant Fire Chief Bob Conley told local news. Responders are allowing the fire to burn itself out, he said.